A lot of people struggle with a standard bowline , but this easy thrown bowline is a simple fixed loop that is easy to untie after its been under load. 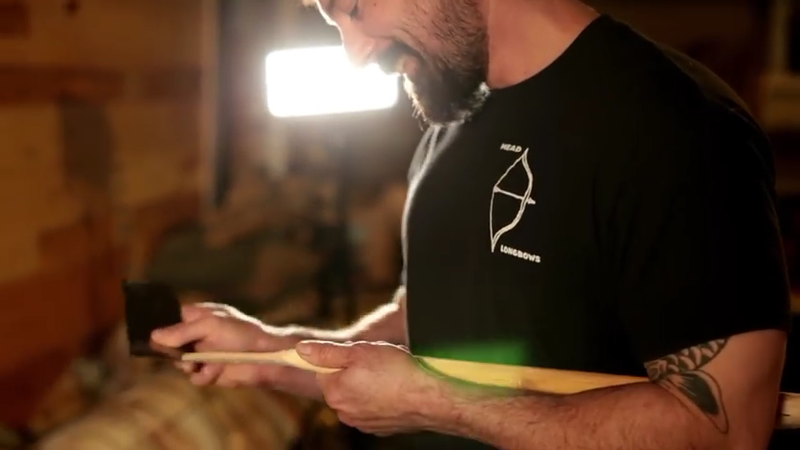 The Angery American learned this knot in a shipyard, and now you can master the same technique. The Siberian Hitch knot is used to attach a rope to an object, and allow a quick-release. It is a type of slipped figure-eight noose.The hitch is known for having a tying method suitable even while wearing heavy gloves or mittens in cold climates. As a slipped knot it can be released simply by pulling the working end of the rope. Store your rope tangle free with this easy, tangle-free rope storage method, that anyone can learn. The speed hank keeps your paracord organized and available for you to quickly deploy in any survival situation. View more tutorials and awesome videos on our YouTube Channel. By: Matt Tate, Co-Founder of American Survival Co.
Plantain is a plant that we enjoy teaching students about at our plant walks and in our wilderness survival classes. It is a useful, multipurpose plant that you can find growing all over the world. 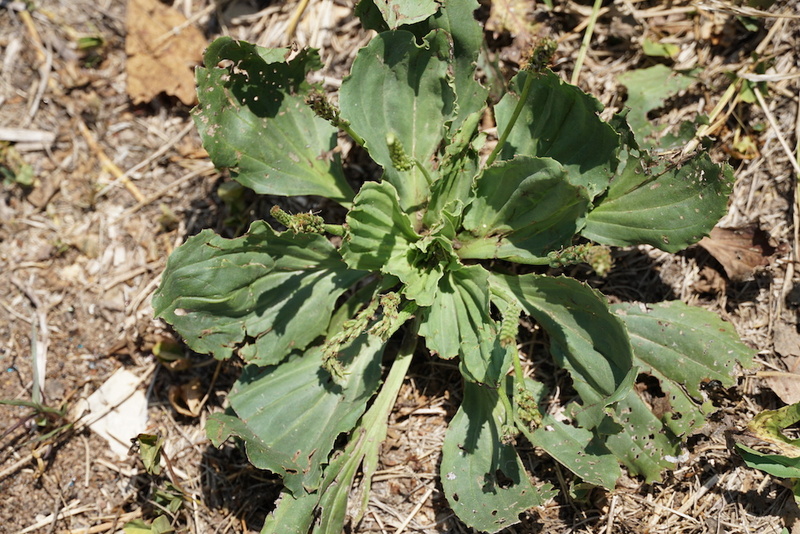 I’ve used plantain mostly in treating cuts, bites, and burns. My first experience with the wonders of plantain was when I was in the Ozark mountains with a group when one of the guys cut his finger pretty badly. It was at least a two inch long cut to the bone. This gentlemen was gonna need stitches, but with us being in a remote location, that just was not an immediate option. Even if we’d had a suture kit, placing stitches in the field where the wound can be difficult to properly disinfect is a fairly sketchy prospect, especially when considering the likelihood of infection being sewn into the wound. Instead, we treated the wound with a wound powder that consisted of plantain and yarrow (more on yarrow in a future write up). We lightly packed the cut with the wound powder and wrapped paracord around the finger to keep the wound powder in place. After about 3 days, the cut was completely closed with zero redness or sign of infection. I also used plantain to help treat a burn, when my mom got a grease burn at a 4th of July Fish Fry. A large blister appeared very quickly and my mom was in some serious pain. I harvested enough plantain from the yard to make a poultice and treat the burn. Once I had a poultice ready to go, we applied it to the burn and lightly wrapped it to keep the poultice in place. I can’t speak to how the pain felt personally, but my mom told me that about 30 seconds after applying the poultice, the pain dropped off by about 90 percent. 90 PERCENT! Thats huge! By that evening, the blister had receded and there was only redness remaining. I left that evening but my mom later told me that the pain was completely gone by the next day and the redness was gone the third day. Considering the severity of the burn, the plantain application worked wonders. These are a few of my personal experiences with plantain. My intention is not to discourage you from seeking medical attention from professionals; it is simply to share information and personal experience as well as encourage you to research this plant further. Natural disasters affect millions of people worldwide regardless of age, race, or gender. Regardless of the expensive gadgets you have invested in, Nature has a great track record for teaming up with Murphy’s law and anything that can go wrong, will go wrong, throwing our fancy gadgets and best laid plans out the window. Surviving a natural disaster and bushcraft or wilderness survival skills are two different worlds, there are times the two can intersect. In wilderness survival, the common mindset is to do more with less and shed modern conveniences for primitive skills. That may not be the best approach for the average family though. In times of crisis, the comfort and safety of your family is always top priority. This is where that line blurs. My personal experience of enduring several hurricanes with my family has taught me some valuable lessons in this area. Most recently, we experienced Irma while my wife was about to give birth to our now 10-month-old son. This made evacuation complicated at best and a complete no go. Lesson learned: Sometimes life does not let you evacuate, so don’t let that be your only plan. Have a back up. To make matters worse, my family had already arrived to meet our new son and got stuck in the storm, spending the rest of their “vacation” in a house with no power, no air conditioning, and more bodies than usual adding to the heat. With the aftermath of Hurricane Harvey still fresh in everyone’s minds and media hysteria exacerbating the situation, supplies flew off shelves earlier than expected. I had a small emergency kit, but was not anticipating spreading the supplies across visitors as well. As I searched stores for additional water rations, there was nothing left on the shelves. 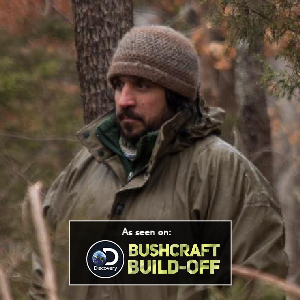 This is where I had to start blurring the lines between bushcraft and emergency survival to make the best situation I could for my family, which brings us to my top 3 overlooked skills needed in a natural disaster. I am not one to ask for help if I have the means to do it myself and so it would have to be a pretty desperate situation if you found me in a group shelter. Once a disaster strikes, essentially taking you off the grid could you sleep outside comfortably? As I mentioned, we survived IRMA in one piece, but a house without air conditioning in the September heat of Florida can be stifling and nearly impossible to sleep in…now add house guests to that equation. Some situations, like we saw this past year in Houston and Puerto Rico, are far worse leaving no houses or belongings for people to go back to. So whether it’s for comfort or last resort, sleeping outside comfortably is a skill you need. September in Florida is hot, muggy and buggy, but if you understand the principles of shelter (check out our tarp class) you can sleep nice and cool in the southern heat. A hammock shines in these conditions. 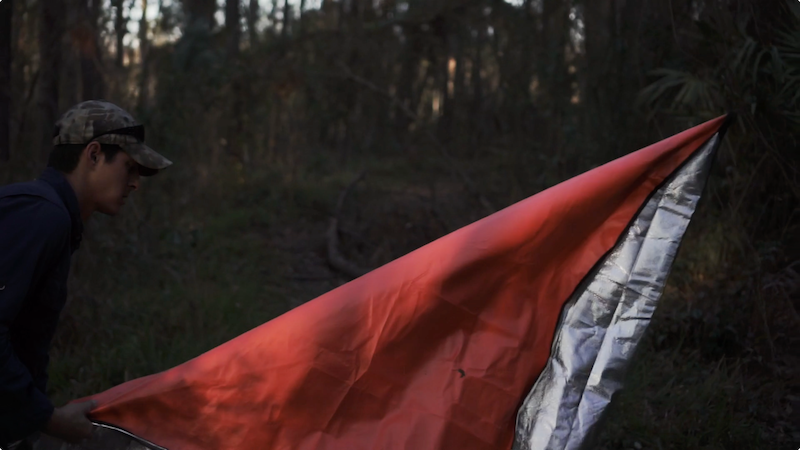 The most common mistake I see is putting a tarp to low to the sleeper. You would not believe the change in temperature if you maximize the loft of your rain cover and capitalize on air flow. Tarps trap a lot more heat than you think. Add to your tarp shelter a bug net and hammock (or a hammock with a built in bug net) and you can sleep much more comfortably than you can indoors. Someone is going to comment…buy a generator. That’s a great contingency, if you have the means. But as mentioned earlier, after a hurricane people are often left without homes or their generators in tact. So always have a backup plan for your backup plan. Another overlooked part of this skill set is PRESERVING MEAT. 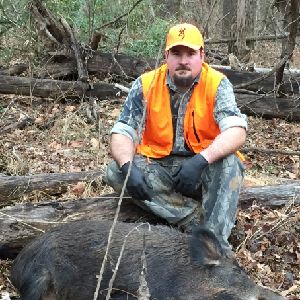 I am a hunter and have a deep freezer full of meat. I could not possibly eat all of it at a moment’s notice. Most people would resort to eating what they could and letting the rest spoil. Our ancestors would be shaking their heads. Prior to refrigeration, Americans still had copious amounts of meat. Sure a generator and an electric dehydrator are way easier and convenient, but you always need a plan that doesn’t rely on electricity. Learn to make jerky and your family can be feasting on jerky that is better than anything you could buy, while the grocery stores throw away their entire inventory of meat, because it took ten minutes for the back up generator to kick on. There are lots of simple, cost-effective methods for doing this, obviously having water rations is great planning, but even those eventually run out. The common recommendation for water is a gallon per person per day for at least 3 days. If possible, I’d store enough for 2 week. For my family that is 12-56 gallons of water, depending on how prepared I want to be. That takes up alot of space. In the event of Irma, I tried to acquire more water but the mass hysteria had the shelves emptied well before I could take action. And don’t expect to just fill a 55 gallon drum full of water, seal it up for five years and it to be good to go when you need it. Water procurement is an area that a lot of my students struggle to grasp, and for the sake of the article I won’t get into too much detail. Depending on the devastation, boiling is not always the end all be all answer to safe drinking water. Neither are activated carbon filters. Distillation is by far the safest option when hazardous waste and chemicals could potentially be in natural water sources. 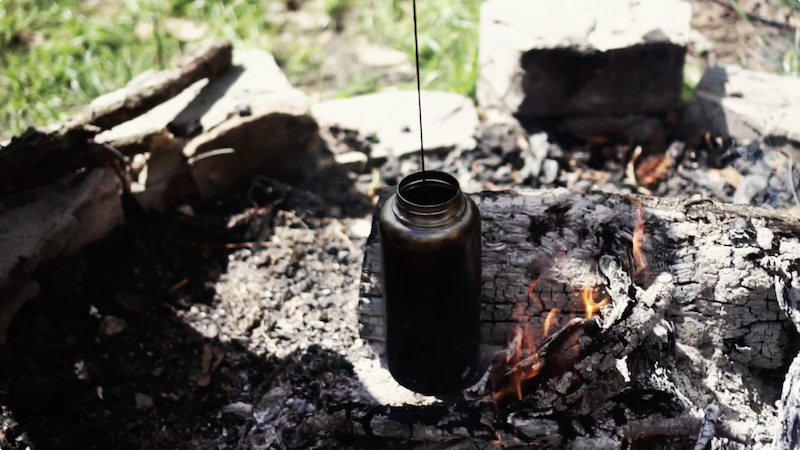 Many a moonshiner has snuck around in the dark and attempted distillation without electricity. Most of the fancy stuff out there isn’t accessible to the common man, but if old Popcorn Sutton could fashion a distiller out of copper sheet metal, I’m sure the average household should be able to improvise something. The key to making these tips work, is to acquire the skills and materials in advance of a natural disaster. If you wait until disaster strikes, you’ll be left wanting. I cannot stress enough heed evacuation warnings. It is always better to be safe than sorry. But think for a moment, if you no longer had a home to return to? Or, like in my case, if you could not evacuate, what happens then? Be prepared to take care of yourself and your families. Don’t simply rely on a system, because systems break, as we continue to see time and time again. I’m thankful I had the skills that I needed to keep my family comfortable during Hurricane Irma. Having a newborn is stressful enough, add a hurricane, mass hysteria and limited supplies…that’s enough to make you mad. But once the danger was over, we actually enjoyed the time we spent disconnected from the distractions of being plugged in! If your interested in learning more we would love to train with you. You never know how it can fit into your life. We even have a weekend class on this subject. I do my best to give sound advice and give you these back up skills and marry the survival world with the natural disaster preparedness world. Check out our Natural Disaster Class here. Disclaimer: Various agencies like FEMA, CDC, Ready.gov put out great information on disaster preparedness. We are not negating any sound advice and if you have the means to evacuate, you should follow the directives of the emergency services and local governments. 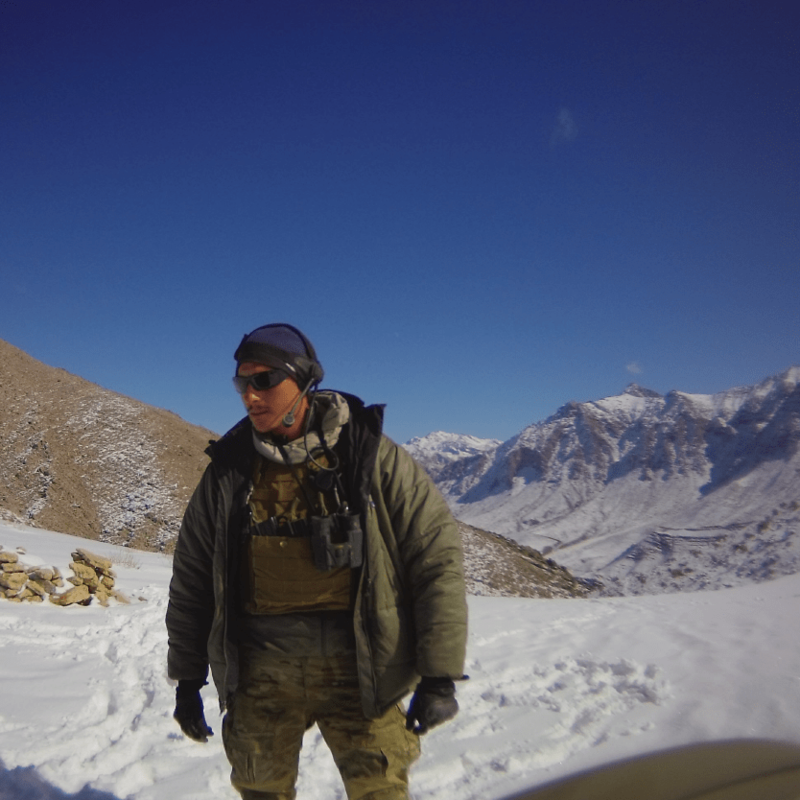 Former EOD Naval Special Warfare and Co-founder of American Survival Co.
1. 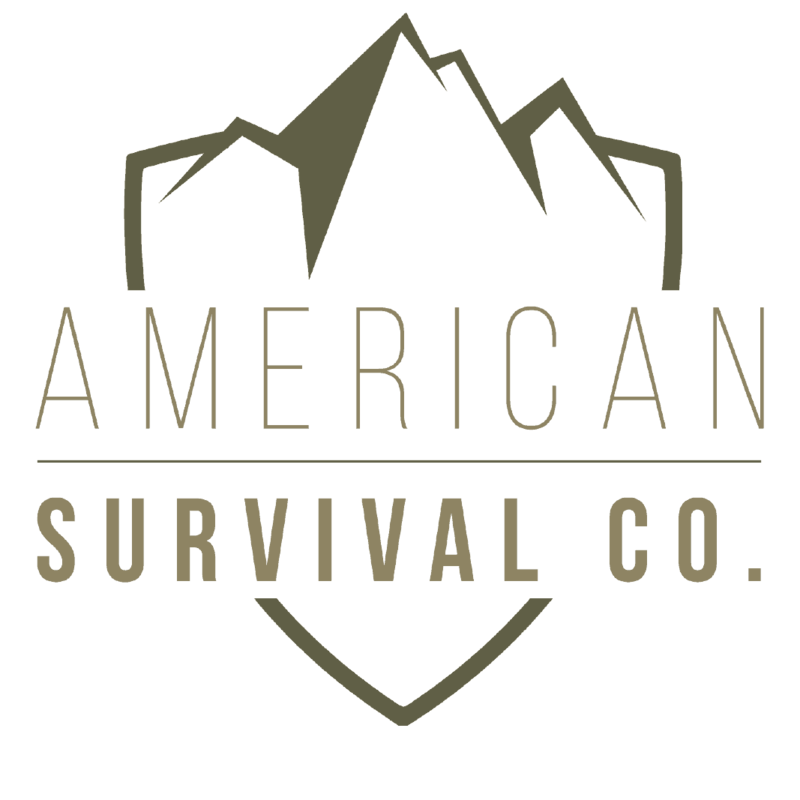 What was your background before American Survival Co.? I’m a 10-year combat veteran. 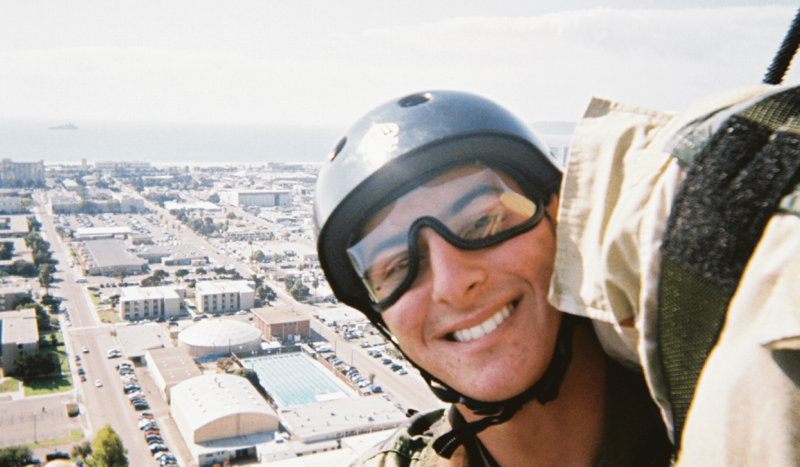 I served in the Navy’s elite bomb squad known as E.O.D. It was an honor to serve alongside the bravest warriors our country has to offer and a privilege to be part of such an important mission. Today, I’m retired from the Navy and have a loving wife, a young daughter and son. I’m glad to be alive and living the American dream. Nature’s bounty has always been fascinating to me. I have an isatiable appetite for learning and enjoy studying history. I am constantly trying to learn from those who have gone before us. Many of the skills I learn and teach connect both of those passions, which is gratifying. Learning these things gives you a great sense of respect for our forefathers and even those who were here long before them. It’s also impossible to not be in awe of the natural world and respect it. 3. What are some of the lessons you have learned from your experience and adventures? When I was young, I didn’t listen to my instincts. As I’ve matured and become more aware that I am not bulletproof, I realize there is a lot of value in instincts. There is also this yin and yang that should come with doing the sort of things that myself and my teammates had to do. I used to not appreciate the importance of being bold and humble, and didn’t think they could even exist together. But the older I get, that humbleness actually makes the boldness or bravery that much more brave. Being humble is respecting the danger and being bold or brave is accepting it anyway. You respect what could happen, not approach risk with an “it won’t happen to me” attitude. Just about any close call I have had, I survived with faith, willpower, the right mindset, a never-quit attitude, and the blood, sweat and tears of my brothers in arms. 4. 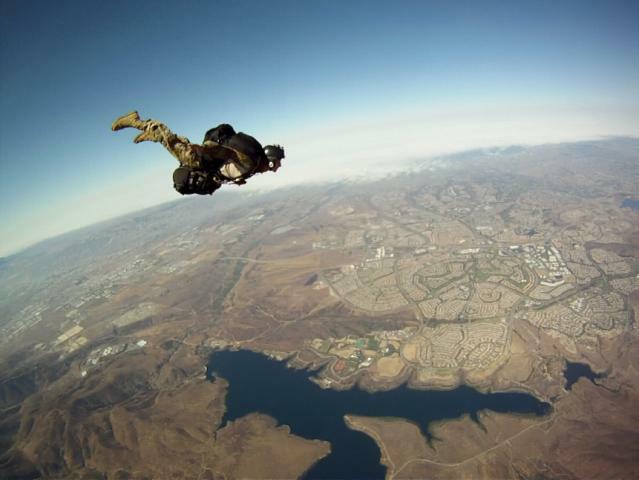 From Naval Special Warfare to Survival Instructor, Why the Change? Most would look down on third-world conditions, but the truth is there is beauty in a simplified life as well. We are lucky to still have wilderness areas to enjoy. A lot of people don’t get out their enough, because they’re not confident in their skills. I love helping people build that confidence as they discover new hobbies. My passion for teaching really comes from those experiences and just an overall understanding that it can be dangerous for a society to completely lose these skills. 5. What’s the best advice you have received? I have been given a lot of great advice in my time. It just took me some time to realize it was good advice. 6. If you could go back and give yourself any advice what would it be? I would say keep working just as hard, but play a little less harder and save some more of that money your earning.Treat your buddies like the heroes they are and are going to be. I also would tell myself to go back even further and tell high school Joel to hang out with grandpa and grandma a lot more and actually learn some of the stuff they’re trying to teach you. 7. What’s the latest book you’ve read that you would recommend? I read anything and everything I can get my hands on. As per the survival genre, there a so many great ones. Primitive Wilderness Living and Survival Skills by John and Geri McPherson. I have seen lots of literature on the subject, but i think that book is a masterpiece on it! “Deep Survival: Who Lives, Who Dies, and Why” by Lawrence Gonzalez. BENTON COUNTY SHERIFFS OFFICE, Bentonville, Arkansas, 2007-Present. Responsible for development and training of Law Enforcement personal in Active Shooter response throughout Northwest Arkansas with hundreds of officers trained to date. Randy Owen is the Owner of Owen Forge, a blacksmith and bladesmith shop in Callahan, Florida. In 2012, he began practicing blacksmithing and bladesmithing, consuming any and all information he could find on the topic. Randy perfected his craft by reading hundreds of books and articles, watching hundreds of videos, consulting multiple master Smiths from around the world and, most importantly, putting in countless hours of dirt time. His shop, techniques and designs are always being elevated and innovated. While starting small in a makeshift open air forge, Randy has grown his shop to now having a climate controlled and furnished workshop allowing him to comfortably teach classes and make best-in-class knives. 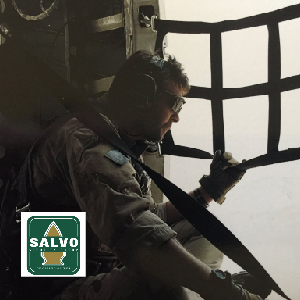 In addition to making knives, Randy consults with many survival schools and customers on knife designs and materials. He has taught knife making classes since 2016 to students across the U.S.
Randy is also also an avid outdoorsman and has trained with Joel Graves since 2015. His love for primitive skills and outdoor experience began as a child exploring Native American history and skills. 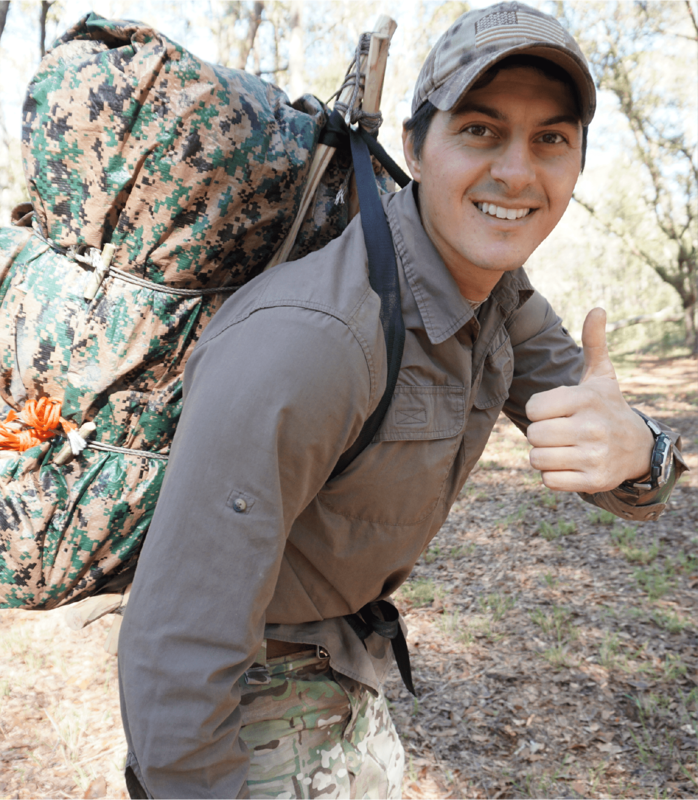 He has completed Standard and advanced survival courses from Sigma 3 and practices many primitive skills in his day to day life including primitive hunting and trapping as well as brain tanning those same hides and pelts. Randy has been a Florida EMT Paramedic since 2013 and has years of experience in emergency medical services. 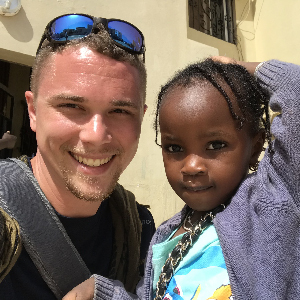 His other accomplishments include being a prior service Marine, ordained minister, short-term missionary to Africa, husband and father of three amazing kids. Randy offers many different types of classes (see list below). Request a specific class or date today! 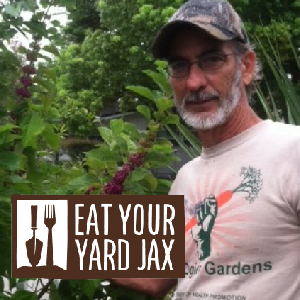 Tim Armstrong is owner of Eat Your Yard Jax, an edible plant nursery, aquaculture facility and education center on the West side of Jacksonville (and the location of our Jacksonville training). He has spent his lifetime exploring the woods and waterways of North Florida and South Georgia, has a keen respect for nature and loves to share that passion with others. He also teaches and manages “Berry Good Farms” for North Florida School of Special Education. Planning your system – location, climate, light, how to size your system. Water – Source, Temperature, PH, Oxygen, Methods of moving water. Fish – How many, fish to plant ratio, what types for your system, sources, feeding, raising your own feed, harvesting. Plants – What grows best, how to start plants, spacing, and insect control. Bacteria and worms – What is Bioponic?, Why bacteria is your friend, Care and feeding of your bacteria, Using worms as your friends. System maintenance – Daily, weekly and monthly maintenance. In this class we go over several systems on the farm. Also in the class we demonstrate several techniques to fabricate systems that you can do at home to get you growing fish and plants together in your own Aquaponics setup. It’s All About the Soil –How to build better soil, Composting, Holistic Teas, Vermiculture, Cover Crops and fertilizer plants, PH, Tilth, Biochar. What to plant – Proper plant timing, Perennial vegetables, Seed saving. Caring for your crop – Water, Fertilizers, Pest Control Crop rotation, Trap crops, Homemade sprays, Building immunity. What to do with your bounty – Drying, Freezing, Pickling, Enjoying seasonality, Teas. Beyond the veggies – Berry Bushes, Fruit Trees, Nut trees, Natives and Wild plants, Medicinal plants. Bringing it to the Next level – Permaculture ideas, Biodynamic ideas, Food forest ideas, Aquaculture/aquaponics, Hydroponics. How to be one with the fungi – Mushroom production, Log production, Soil inoculation, Bag production Chip production.